A lot of American players became pretty disappointed when they heard that Bodog Poker was pulling out of the U.S. market. This was especially disconcerting since there are so few poker sites that allow U.S. players to play there these days, and the loss of one more had players wondering if this trend would continue and if they would even one day soon have no poker sites left that would take them. Bodog themselves had separated off their main operations from the U.S. side of their business quite some time ago, when Mohawk Gaming based in Canada took over that side of things. While this company is located in Canada, they are actually on an Indian Reserve that does not consider themselves part of any country and strongly believe they are an independent nation. These beliefs extend well beyond the poker world and these Mohawks defend their territory with a passion. They don’t take direction from anyone, not even the Canadian authorities, and certainly not the Americans either. They aren’t just a small company either, as this tribe has been a major player in the online gaming world for years, through their many companies including the Kahniwake Gaming Commission, one of the world’s largest independent gaming bodies. They also have hosted and managed the servers for the North American market for all poker companies for a number of years as well. So while people have rightfully been worried that their poker sites may end up wimping out and knuckling under to the meddling of the U.S. government, as many have already, this is not a concern at all with Mohawk Gaming. They also subscribe to the highest ethical standards and their parent body is in fact called upon to resolve disputes between players and other poker sites. They were asked by Full Tilt Poker to license them at one time and refused because they felt that the company fell well short of their standards. So if you are from the U.S. and are looking to either get back in the game or switch to a poker site which both offers online poker to Americans and is also a very solid and well run operation, Bovada Poker is definitely for you. Bodog remains a very popular online poker site for players from all over the world. We’ve been recommending them for quite some time now and they remain one of our favorite poker rooms for anyone. What they’ve done though by first breaking off the U.S. side of things by turning over that part of the operation to Mohawk Gaming, and then making a complete break by having their poker site officially not take Americans and licensing this out under the new Bovada brand is to ensure that their operation, and their non-U.S. players, are completely insulated from the U.S. side of things. This is something some other sites didn’t do very well, and their non U.S. players became caught up in the wars that ended up being fought with the U.S. government. So even though Bovada is in an outstanding position as far as being insulated from any U.S. interference, this wasn’t enough for Bodog, and they now are a completely separate company with completely separate ownership. So this allows Americans to play at Bovada and obtain full access to the highly rated Bodog network. With Bovada focusing on the U.S., and Bodog focusing on the rest of the world, this now becomes a very nice combination which is expected to further increases Bodog/Bovada’s market share worldwide. As a matter of fact, although Bodog has hung in there nicely in terms of the traffic they get normally, since Bovada there has been a noticeable increase, and this has caused Bodog itself to climb up the rankings. They are now number two among poker sites that take Americans, and number eight worldwide among poker sites that take players from more than one country. So while the traffic isn’t quite as heavy as some of the biggest poker sites yet, it is climbing, and at Bodog it’s never been about the sheer amount of traffic they have gotten, it’s always been about the higher than average quality of that traffic. You’ve probably heard me preach in other reviews about how important quality of traffic is, and while some poker sites give you both a lot of traffic and a lot of the right kind of traffic, we definitely don’t want to pick our poker sites merely on the basis of how much traffic they get. This is a lot like looking at a job merely based upon how many hours a week they will employ you for, without looking at the wage. One job may let you work as many hours a day as you want, but the pay may be low. At another job, the hours may be less, but the amount of money you make in total may be more. So it’s the amount of money that you make that you really want to focus on the most, which means a decent amount of hours at a good hourly wage. So this means for us, we want a good amount of traffic, and also a lot of players who are relatively easy to beat. In the poker world these days this means poker sites which the good players tend to avoid and the weaker players tend to like. Bovada Poker fits that bill well, which is why we are recommending them, as we recommend Bodog to players from other countries. So this is a high quality deal here regardless. Unless you are new to online poker and just have a small bankroll, there’s nothing that says that you just have to play at one poker site only. 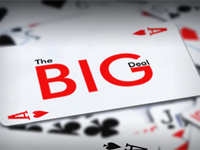 In fact, as players improve their game, they start to learn that playing at just one poker site is pretty limiting. If there is a better table at any given time at another good poker site that you could have an account at, and you don’t, then you are losing money compared to what you could be making. Being successful at online poker isn’t just about playing well, it’s also about playing in the most profitable games that you can at your present stake. So more is better here as far as the number of poker rooms that you can play at, provided that these poker rooms are of high quality. All of the poker rooms we recommend are of this higher quality, and we encourage our friends to maintain accounts at several of them if and when this becomes feasible for them. Even if you are just starting out though, and perhaps especially if you are, then Bovada is a good choice to start at anyway. You’ll be playing the lower stakes, or at least should be if you don’t have a lot of money to start out with. So the small stakes players at Bovada are particularly weak, and this will put you in a good position to do as well as you can in the earlier stages of your development, where you can lose a lot of money needlessly if you are not careful about where you play. If you are a more accomplished player and play at the medium stakes or higher, it’s perhaps even more important to have a good amount or better of game selection opportunities. This is especially critical these days for American players who have such limited action at these higher stakes. 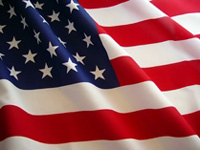 In fact I’d strongly recommend that you maintain accounts at all of our recommended poker sites for U.S. players. Recommending top poker sites which also have nice bonus offers is the main thing that we do here at PokerBonusCode.net, so it’s natural that we frequently point out the benefits of your collecting these bonuses. What this comes down to is your either playing poker and not getting welcome bonuses, or your playing poker and collecting them. Getting paid to try out sites is simply better than not getting paid, so I’m sure I don’t have to spend any more time pointing that out. Bovada Poker offers a nice 100% bonus up to $1000 in free money, meaning that they will double your deposit up to this amount. So obviously, the more you start out with as far as your initial deposit with them, the more bonus money you will be eligible to receive. So you want to try to dig deep here if you can, and of course we’re only telling you this because we want you to get the most out of this offer that you can. What some players do is start out with a little and end up putting in more later, and they miss out on some nice bonus money that they could have had with these subsequent deposits. So it’s simply better to put all you can in now, and not end up short changing yourself. Some bonus offers require you to enter in a special bonus code to become eligible for the bonus deal, and some just require you to visit them through our link. With Bovada Poker, no bonus code is needed, and all you need to do is click on our link to them and you’ll automatically receive the full bonus once you register your account with them and make your first deposit. Bodog has always been a lot more famous for their other forms of gambling that they offer, and this continues with Bovada. While a lot of online betting operations now offer a variety of different forms of betting these days, they key with Bodog and Bovada is that their sports betting operation in particular is much bigger than their poker room, although their poker room in itself is fairly large. So what this means to us, first and foremost, is that the poker rooms tends to have a lot of sports bettors that play at it, and it is simply much easier to beat a sports bettor out of their money at the poker table than it is an actual poker specialist. Bovada also offers casino betting as well, and just like the sports bettors, there are plenty of casino players who also come over to try their luck at poker, to our delight and profit. Another benefit of this variety is of course our moving over to those other forms of gambling if we wish, allowing us to experience multiple forms of online gambling entertainment to our heart’s desire right from the same bankroll. Many poker players for instance like to bet on sports as well, or at least give this a try. Also, casino games can provide a relaxing break from the grind of playing poker. So whatever you want to play, you can do it at Bovada. 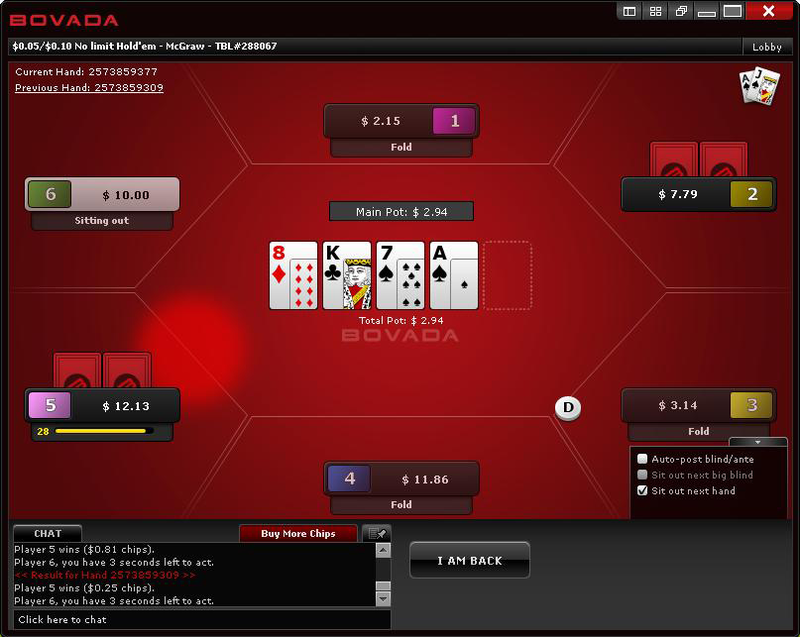 Bovada Poker offers all of the popular poker formats, including a multitude of different formats for cash poker, and numerous tournaments as well. All good poker sites offer all of these options, and Bovada Poker isn’t any different in that respect. However, there are some poker rooms which may spread out a lot of different types of poker tables and tournaments, but due to the thinner action there, the actual variety that they have in practice is much less. This is not the case at Bovada, and although you will find better selection in practice at some of our busier recommended poker sites, there is still a good amount of it at Bovada Poker, so this isn’t really a concern at all and in fact is a feature of their poker site. In the end though, it’s not so much about the different types of games and tournaments that a poker site offers, it’s much more about how juicy their offerings are. So with all the sports bettors and casino gamblers that play at Bovada and Bodog, this juicy action is assured. Bovada offers a good range of different stakes, although as is the case with all poker sites, the lower the stake, the more players there tends to be playing them. This is the case with tournaments as well. However, this means that if you play these smaller stakes, there is definitely lots of action. As you move up, you will of course experience less action here, but what they do have is of high quality, and at this point you want to have several options as far as poker sites that you have an account at to maximize your access, and Bovada Poker is definitely worthy of being one of them, especially if you are from the U.S. and have few other good options available to you right now. In terms of big tournaments, Bovada features their weekly $100,000 guaranteed tournament, with many options to get your seat, anywhere from buying in directly to looking to win a seat at one of their many satellite tournaments, where you can get a shot at it for as little as a dollar. So this makes sure that all players can get involved in this regardless of how much or how little you have to invest here. There are many bigger tournaments around but what I really like about the one at Bovada is how many weaker players play in it. This means that regardless of how good you are, you have a better chance of taking home some big loot than you would have in some tougher ones. This nice fact extends to their World Series of Poker promotion as well, where players at Bovada Poker compete for the exciting opportunity to get a seat at the WSOP main event in Las Vegas. This is a first class package all the way, with your entry fee, loads of spending money, and lots of special treatment as well. Once again though, while many poker sites offer WSOP packages, your chances of winning one may not ever get any higher than right here at Bovada..
One of the concerns among American players is the ease of depositing and withdrawing at a poker site which will allow them to play there. It’s one thing to let U.S. players in the door, but we also need an easy way to move money in and out of the poker site. The company that owns Bovada has very extensive experience in navigating the complexities of providing Americans with good deposit and withdrawal options. As a matter of fact, those poker rooms who have survived through all of the attacks that the U.S. government has made on other poker rooms have had to get the financial end of their operation bolstered enough to be able to escape all of this. Bovada has never once had their financial transactions tampered our interfered with by the authorities, and this is because they really know what they are doing here. As well, they offer several very good options both for making deposits with them and cashing out your winnings, so every player can not only play on their site but make transactions with ease as well. The company that runs Bovada have been recognized as being well ahead of the curve in terms of the technology and security that they employ. A big part of their other businesses have been to provide technological solutions to other poker rooms, and this is definitely an area of real expertise for them. So it’s no surprise that they provide Bovada Poker players with all of the latest security enhancements, as well as poker software that is among the best out there in the industry. Players can also be assured that they will be treated not only very well but very fairly, as several other poker sites trust them as well in this capacity. Given that Bodog Poker in themselves are well worth trying out, and given that Bovada offers American players the identical experience playing on this top rated poker site that other players in other countries have, then it’s almost ridiculous to never have tried out Bovada Poker. Once again, this is especially true given the so few good options that there still out there for Americans. If you are playing elsewhere right now, they aren’t paying you a welcome bonus of course, as you already would have cashed that in. Maybe you like the site where you are playing at now, which is fine of course, but if you haven’t tried Bovada yet, it at least makes perfect sense to get paid to try them out and see what you may have been missing. So just click on our link and do just that. The number of online poker sites that allow U.S. residents has diminished over the years, and many players were disappointed to see one of the few that was left, Bodog Poker, exit the U.S. market as well. Their disappointment turned to happiness though when they found out that they can now play on the Bodog network through an exclusive skin, Bovada, which not only takes Americans, they only take Americans. 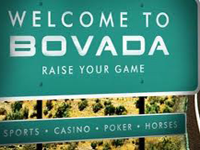 While Bovada isn’t owned by Bodog themselves, and is owned by Mohawk Gaming in Canada, Mohawk gaming had been running the operation in the U.S. for several years already, so nothing has really changed there. Due to all the difficulties that other poker sites have had offering online poker to U.S. players, Bodog simply chose to get out of the market officially, which allowed Mohawk Gaming to run independently. By playing at Bovada Poker, you still have access to all of the tables at Bodog, which has become a poker network of sorts now. Much like other poker networks, all of the action is combined under one roof, with different sites merging to combine players and poker tables. So instead of being shut out of Bodog like you thought you were, this new scheme lets you get back in the action at one of the best places to play poker online period. 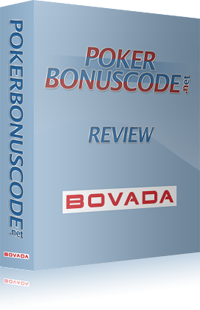 Our site is known for lining up the best bonus deals out there for you, and the Bovada Poker bonus is no exception. We only recommend the best poker sites though and Bodog has always been one that we’ve really liked. So many players have been playing at the tough sites that still took Americans like Poker Stars and Full Tilt back when U.S. players could still play there, but even then we preferred other sites such as Bodog, and preferred them a lot more in fact. So due to the massive amount of marketing that these two mega poker sites directed at U.S. players, almost all of them got sucked in by all of this, and in fact when they ceased taking them, they even thought this was game over for them, at least for now. There are still some great places to play online poker left for Americans, and as it turned out, the poker rooms which have always been the best places to play at in our opinion are still around. So this is what we’re talking about when we say that places like Bodog have always been better choices, and they remain so to this day, even though the big boys have left the game. So this is why, if you’re from the U.S., that it’s great that Bodog hasn’t left the house after all and you can get in on all of the fun and profit through Bovada Poker. To get you started, Bovada Poker will double your initial deposit, up to a total of $1000 in free bonus money. While this is indeed free money, as is always the case, you will have to do your part and try them out to collect it, which is in fact what they are paying you to do. Getting paid to play poker is always better than not getting paid to play it though. Some of our offers do require you to remember and enter in a special bonus code to be entitled to receive the bonus, and with some other offers you automatically get it just by going through our link to the poker site. In the case of Bovada Poker, it’s the latter, so you don’t have to worry about putting in a bonus code this time. All you have to do is click on our link to them and you will automatically receive it. Then, as you try them out, your bonus money will be released to you as you play there. Once you earn 50 poker points your first $10 will be placed into your poker account automatically, and then as you play more you will be paid more until you have received the entire bonus amount. You have 60 days to earn the entire amount. Some poker sites can be challenging for U.S. players to get money in and out of their site. Since Bovada is just for Americans, you are assured that your needs will be taken care of as well as possible, since it’s only your needs as a U.S. player that they are focused on. So Bovada has several good options for U.S. players to get their money in and out of their poker site, and all you need to do is choose the one that suits you the best, make your deposit, and you are good to go. So don’t miss out on this great Bovada bonus offer by clicking on our link to Bovada Poker right now. We are always on the lookout for great deals for our many American friends and this is definitely one of them. It very well may turn out that this poker room ends up being your favorite among the current options out there right now for U.S. players, as it has been for many of our readers. In any case, there’s no reason not to grab the bonus money that they have set aside for you and give this poker site a try if you haven’t already. All poker sites these days feature plenty of poker tournaments, and it’s not really the selection that matters the most, like some players believe. Bovada Poker has plenty of selection, but what really separates them from a lot of other poker sites is how easy it is to do well at them. Doing well at poker tournaments requires a combination of skill and luck, although like other poker formats, the luck evens out over time, meaning that your results ultimately are a matter of how much skill you have at playing them. However, where poker skill is concerned, it’s never just a matter of how much you have. Rather, it is the difference between your skill and the average skill of your opponents that determines these results. So in other words, given a certain amount of skill, the stronger your opponents are, the worse you will do, and the weaker that your opponents are on average, the better you will do. While this is really only common sense, it’s something that tends to escape most poker players. Perhaps it is due to their egos playing too big a role in their thinking, but they tend to focus more on working on their own game without having a proper understanding of the fact that this is only half of the equation. It is far easier in fact to alter your situation for the better by choosing poker sites with easier competition rather than working on improving your own skills. You definitely want to do both, but most players ignore the importance of proper site selection, and I do not want you to make the same mistake. So the tournaments at Bovada Poker are definitely in this preferred of poker tournaments featuring the kind of soft competition that will really boost your results over time. Keep in mind though that you always want to assess your results over the long term, something less savvy players fail to do. So for instance if you get a bad beat and get knocked out of a tournament, that actually bodes well for the site, as it’s good to have players willing to play hands against you where you are the favorite. The more bad beats you get, the better the poker site tends to be, as that is indicative of poor competition. Based upon our extensive experience with Bodog Poker, keeping in mind that Bovada is just a new skin on its network designed exclusively for U.S. players, you can rest assured that the tournaments here are definitely the kind you want to be playing in. Every Sunday at 4 PM ET, Bovada and Bodog feature their weekly big tournament with a guaranteed prize pool of at least $100,000. While there are certainly bigger tournaments out there, poker tournaments should not be judged merely in terms of the size of the prize pool. 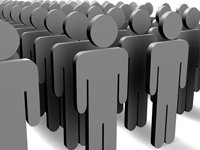 The number of entrants and the skill of the entrants is also a very important factor. The less people that are in these big tournaments, the better the chance that you can take home one of the real big prizes, and the less skilled the competition, the better your chances as well. So for instance you can play in a tournament at Poker Stars with a million dollar prize pool, but against a ton more players and a ton more players of exceptional skill. You’ll be going against thousands of the best poker players in the world, players that are most likely eons ahead of you in skill. So they will just step on you on their way up, and your money will be wasted. These highly skilled players definitely avoid Bovada though, and if you’re a less experienced or less skilled player you’ll be in a fair fight with players of more modest skills such as yourself. If you are a good player now, or once you do become one, you’ll be able to stomp all over most of the players at Bovada, which is exactly what you want. I’m a very successful poker pro and I’d put my poker skill against anyone, but I much prefer playing at tournaments such as the 100K at Bovada rather than the mega ones at Poker Stars, simply because it is so much easier to do well and even win the Bovada ones. Whether you’re in it for money as I am or even just for the entertainment value of these tournaments, it’s both a lot more fun and profitable to play in the easier ones. 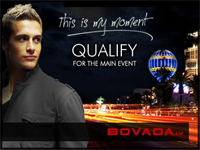 There are numerous ways to get in on the fun at Bovada’s $100K guaranteed tournament. You can buy in directly or you can earn your seat by playing one of their numerous qualifying tournaments, which are designed to suit every budget. Even if you only have $1 to spend on this, you can take your shot at it. This ensures that everyone, from the largest to the smallest bankrolled player, doesn’t miss out on the fun. There’s nothing more exciting than going to Las Vegas to compete in the main event of the World Series of Poker. While there are some players out there who are willing and able to plunk down the $10,000 entry fee plus expenses, that’s not most of us. Most players at the WSOP main event don’t buy their way into it, they win it. Now once again, there are some poker sites where it is easier than others to do well at tournaments, including winning these huge prize packages. I’ve been recommending the easier ones to players and have seen quite a few students win seats to it. 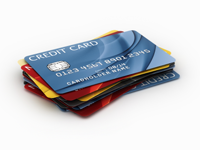 Bovada Poker is one of these easier sites to be sure. Bovada Poker offers you the opportunity to win your seat to the WSOP, with a prize package that includes the entry fee, an extra $2000 to cover your expenses, a team of handlers to assist you while you are there, an exclusive party for the Bovada players, and some special gifts for you as well. So you get the royal treatment with Bovada, as you deserve to. Once again, you don’t need a big bankroll to get in on this, as they have qualifying tournaments which you can enter for as little as a dollar. As exciting as the WSOP is, it’s also pretty exciting just to play for a seat there. 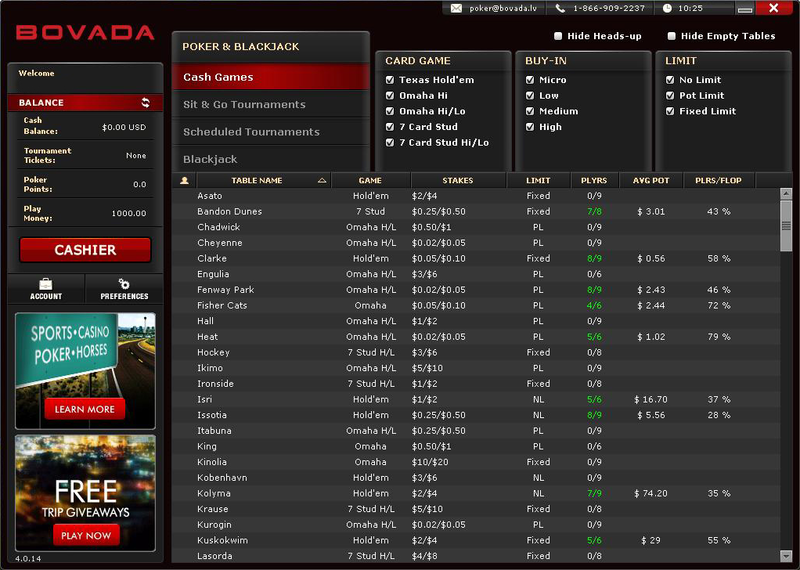 No matter what type of poker tournaments you enjoy, Bovada Poker has them for you. Their selection is awesome, including tons of scheduled tournaments of numerous formats and buy in amounts, as well as lots of sit and go tournaments if you prefer those. Variety and selection is only part of the story though, as I’ve been saying, and the great thing about playing tournaments at Bovada is the easy competition that you’ll be going up against. So if you like poker tournaments, and you are from the U.S, there may not be a better poker site to play them at. However this is something that you owe yourself to find out first hand. While you are at it, why not collect the nice 100% bonus that they have in store for you just for checking them out. Just click on our link to them and find out just how good poker tournaments can be.